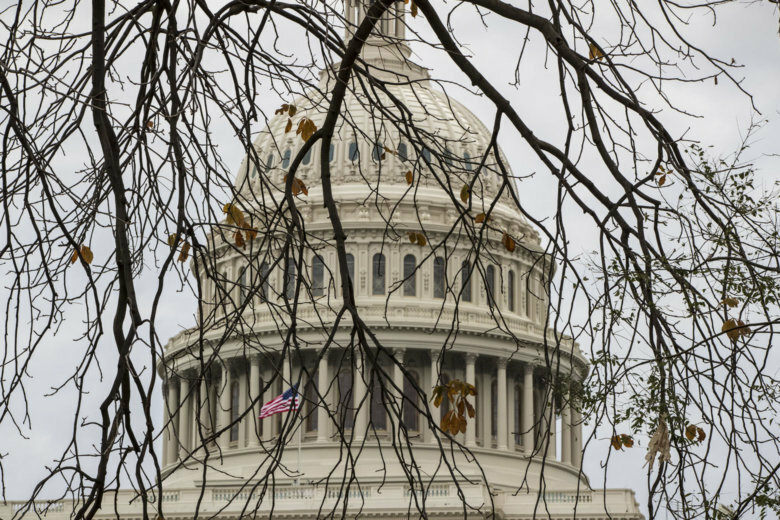 WASHINGTON — Congress returns Tuesday to begin a busy lame duck session in which lawmakers will tackle issues including the future of the special counsel’s Russia probe, funding for President Donald Trump’s proposed border wall and whether a government shutdown can be avoided next month. The Russia investigation and the battle over whether to provide billions of dollars for the wall and border security could play a major role in whether the federal government avoids being shut down when funding for various agencies runs out on Dec. 7. Democrats have suggested they may hold back on supporting critical spending bills if Republicans don’t go along with legislation that would protect Robert Mueller’s Russia investigation. Concern about the future of the probe has heightened, following the temporary appointment of Matthew Whitaker as the acting attorney general, following the ouster of Jeff Sessions. Whitaker in the past has indicated skepticism about Mueller’s probe. Sen. Mark Warner, D-Va., hopes Republicans will stand with Democrats on behalf of Mueller’s investigation, to make sure it goes forward. “At the end of the day, all of the members, particularly my Republican colleagues, who have said they think he needs to be able to finish his job, I think they’re going to be tested whether they’ll stick to their word,” Warner said in an interview with WTOP. Warner, vice chair of the Senate Intelligence Committee, said he’ll support efforts to resume action on legislation that would protect the Mueller probe. “I would be very disappointed if there was any attempt to try to quash or conceal the results of the Mueller investigation,” Warner said. Senate Minority Leader Chuck Schumer, D-N.Y., said on Sunday that he would try to link a measure protecting Mueller to spending legislation, if Whitaker doesn’t recuse himself from oversight of the investigation. Schumer declined to say whether he would be willing to risk a government shutdown if the legislation doesn’t move forward. Senate Majority Leader Mitch McConnell, R-Ky., has indicated he doesn’t believe there’s a need for the legislation. But Sen. Jeff Flake, R-Ariz. and Sen. Susan Collins, R-Maine, have supported the legislation, which was approved by the Senate Judiciary Committee earlier this year. Also on tap for lawmakers is what to do about Trump’s call for more funding for a border wall. Democrats, including Sen. Tim Kaine, D-Va., have questioned the president’s commitment to immigration reform and warn that if there’s a government shutdown over funding for the wall, the GOP will will be held accountable. “Look, there will no shutdown unless the Republicans push it to shutdown,” Kaine said, noting Republicans will control the House and Senate until January. McConnell has indicated he’ll be willing to press ahead on the wall, but downplayed whether it will lead to a shutdown. “We’re going to do the best we can to try to achieve the president’s priorities and hopefully we’ll not be headed down that path,” McConnell said last week. House Republicans and the White House want $5 billion for border security funding, including the wall. Senators have proposed $1.6 billion. A continuing resolution, or CR, runs out on Dec. 7. Stopgap spending for several agencies, including the Department of Homeland Security and the Internal Revenue Service, runs out on that date at midnight.